Edinburgh Churches Together (ECT) was formed over 25 years ago to reflect the work of Action of Churches Together in Scotland (ACTS) on a local level in Edinburgh. 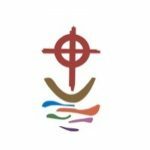 ECT brings together Church of Scotland, Scottish Episcopal Church, the Catholic Church, the Methodist Church, the Salvation Army, Religious Society of Friends and the United Reformed Church. It enables different denominations to work together in areas of shared concern but still maintain their own identity. 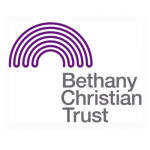 As well as encouraging churches to relate and communicate with one another, ECT also works with the City of Edinburgh Council and other bodies including the Edinburgh Interfaith Association. We publish a newsletter every two months with news and information about ecumenical events, gatherings and goings on in the city. If it’s not in our newsletter it will be on our Newsletter and Noticeboard page. We also publicise events on Facebook and Twitter so please follow us and like us! If you’d like to subscribe to our free newsletter then please Contact Us.